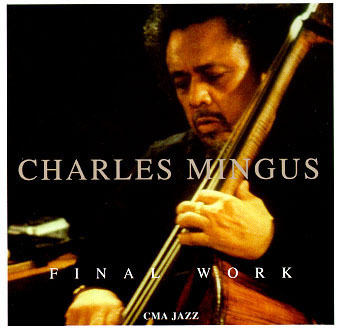 Even the engineers were apprehensive, we had been through some tough sessions with little time to prepare for men like Lionel Hampton, Buddy Rich and Earl Hines, but Charlie Mingus' reputation preceded him and there was an atmosphere of concern. 1-4,6,7,9,10: Who's Who 21005 (197?) as "Lionel Hampton Presents The Music Of Charles Mingus"
5: Who's Who 21014 as "Giants Of Jazz Vol. 2"
Aurophon AU 36000 (1993, CD), except "Just for Laughs Pt. 1"